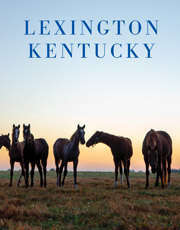 Lexington, KY - There&apos;s only one place in Lexington for the public to enjoy free live entertainment and Preakness wagering - Red Mile in Downtown Lexington. The fun begins at 11:15 on Friday, May 19 when wagering and advance wagering on both Black-Eyed Susan Day, and the full Preakness card begins. On Saturday gates open at 9am, with windows opening at 10am for Preakness wagering. Free parking, free admission, live entertainment, over 900 Instant Racing® terminals, and Preakness simulcast and wagering make the 142 year old track the best place to celebrate the second race in the Triple Crown. Lexington band Caught Red Handed brings their rock and dance music to the Atrium at 9pm. At 6pm on Saturday "Flowers of Free Play" giveaway drawings start. Winners could claim more than $4000 worth of free Instant Racing® plays to be given away. Members of the Red Mile Rewards program are eligible to win - it&apos;s free and easy to join at Player Services. Televisions throughout the facility will broadcast all the racing action on NBC and simulcast throughout the day, all leading up to the Preakness Stakes (G1) at 6:48pm. Please visit www.RedMileKY.com or contact Alex@KindlingPR.com for more information about these events and promotions.